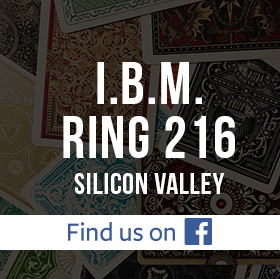 Join us on Wednesday, December 10, 2014, for the IBM Ring 216 Annual Stage/Parlor Magic Competition. 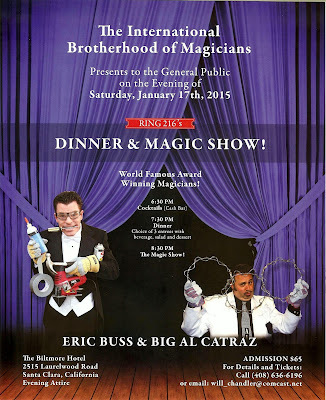 When: December 10, 7:30 p.m.
Coming Jan 17, 2015, is the IBM Ring 216 Awards Banquet and Show starring Eric Buss and Big Al Catraz. Tickets are selling fast. Please contact Treasurer Will Chandler for purchasing tickets (treasurer@ring216.org). There will be free food and drink. See you at Yu-Ai Kai on Wednesday, Nov. 12, starting at 7:30pm.